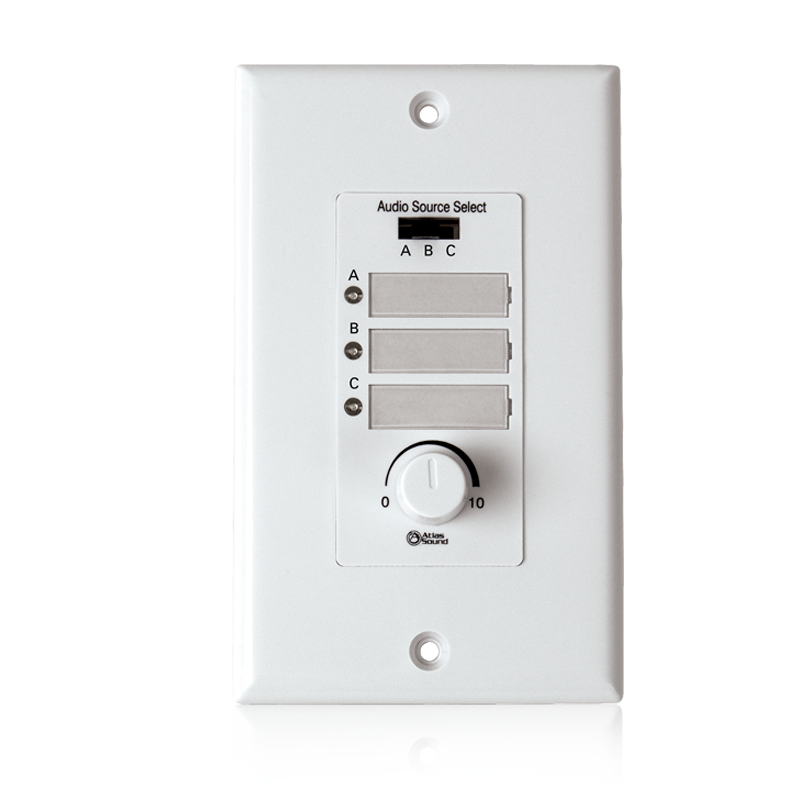 The WPD-MIX42RT is a decor style wall plate that is designed for remote activation of the TSD-MIX42RT mic/line mixer. The WPD-MIX42RT features an audio source slide selector as well as a source volume control. 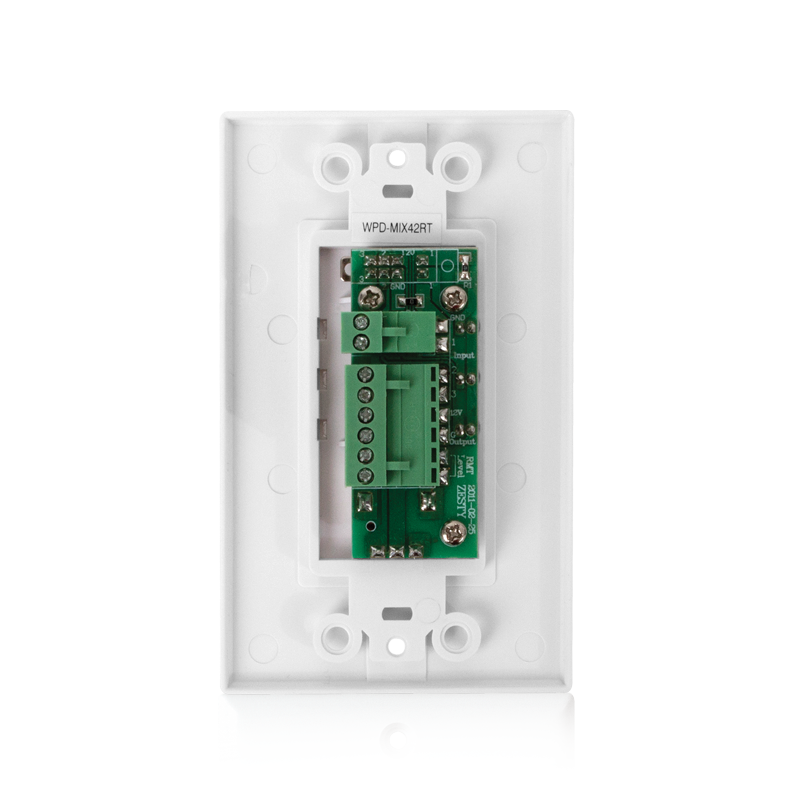 The unit includes an LED indicator to indicate which source is selected and if it is active. 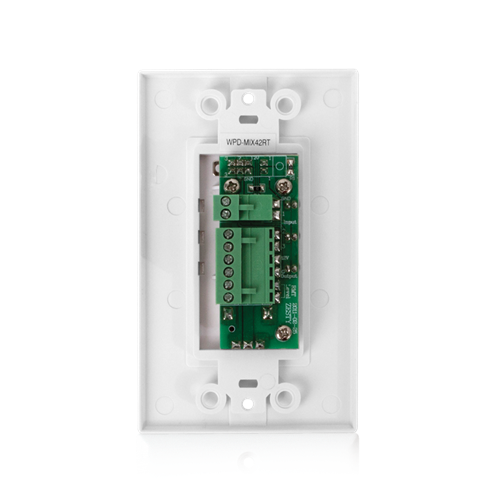 The unit fits in a single gang electrical outlet and uses an 8-conductor interface connection that includes a single 4 position removable Phoenix connector and dual 2 position Phoenix style connectors. 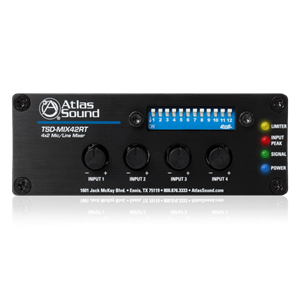 When connected to the TSD-MIX42RT and the Juke Box Override, any page made through the system will override the selected source so that the page can be heard clearly.